I, Marilyn Vine, have been saving information on Standing Rock for a period of time in preparation for posting this page. Today, 2 December 2016, I am driven to get this page up and running when I learn of the Morton County Sheriff’s Department’s effort to stop essential supplies from reaching these people. This together with how bad weather is deliberately being targeted in the area and how essential supplies are being denied by the Morton County Sheriff’s Department. Does not matter where in the world you live – NONE OF US should stand back and do nothing when you see human rights violated in this way all in the name of profit for a few individuals using fracking to obtain oil. Make sure you watch the whistleblower’s video to learn how these same individuals cover up massive oil spills and harm our environment. The YouTube has now been removed. Bookmark this Standing Rock page as new information comes to hand. Is the DAPL Oil Company behind the criminalizing protest laws? NewsTarget dated 24 June 2018 published this article “DAPL Oil Company Exposed as Lobbying Group Behind Law to Criminalize Protesting”. It certainly would not surprise me if an oil company was in a government’s ear to try and stop people doing peaceful protests. Click the link to read the article. “As the Dakota Access Pipeline nears operational status the project is marred with new reports of oil leaks and the presence of a private military contractor. “Obtained by The Intercept, internal TigerSwan communications “describe the movement as ‘an ideologically driven insurgency with a strong religious component’ and compare the anti-pipeline water protectors to jihadist fighters,” that outlet reports. To liken Indigenous American Natives and their supporters as “Jihadists” seems incredible. Make sure you click this link to read the article. 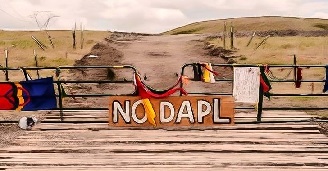 Activist Post dated 7 February 2017: The U.S. Army Corps of Engineers have indicated that they are preparing to approve the final easement for construction of the Dakota Access Pipeline. On Tuesday,the U.S. Army Corps of Engineers announced that they have concluded their review of the Dakota Access Pipeline and plan to approve the final easement under Lake Oahe. The approval could come as early as Wednesday afternoon. The Corps will grant the easement for 30 years. The easement, which has been the center of resistance and conflict since last summer, is slated to go under Lake Oahe near the Standing Rock Sioux reservation. Activist Posted dated 4 February 2017 advises that the Veterans are returning to Standing Rock. 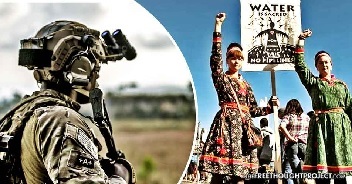 “A group of veterans is promising to return to Standing Rock after local law enforcement raided a newly created resistance camp and arrested 76 water protectors who continue to oppose the controversial Dakota Access Pipeline. 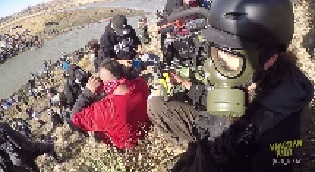 Cannonball, North Dakota – Morton County Sheriff’s arrested 76 water protectors on Wednesday after the opponents of Energy Transfer Partners’ Dakota Access Pipeline crossed onto private property to create a new camp. The “Last Child Camp” was launched on the top of a hill and marked by seven tepees representing seven tribes. The new camp was around a quarter mile from the Oceti Sakowin Camp, just north of the Cannonball River. 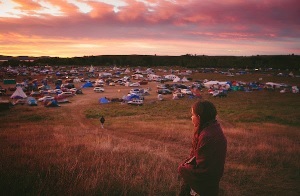 The Sacred Stone Spirit Camp and Rosebud Camp are located south of the river. 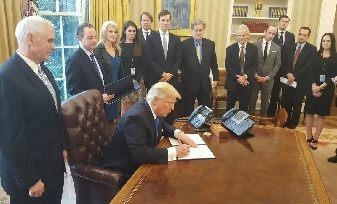 Trump also issued executive actions declaring oil pipelines built in the U.S. should built with US materials, streamlining the regulatory process for pipeline construction and shortening the environmental review process. 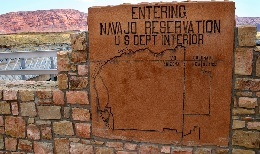 Natural News on 9 Decembers brings the story on the “ Navajo Nation sues U.S. government for $160 million over toxic waste damage to their community” Click to read the full story. “Today, the Army Corps of Engineers announced that it will not be granting the easement to cross Lake Oahe for the proposed Dakota Access Pipeline. Instead, the Corps will be undertaking an environmental impact statement to look at possible alternate routes. We wholeheartedly support the decision of the administration and commend with the utmost gratitude the courage it took on the part of President Obama, the Army Corps, the Department of Justice and the Department of the Interior to take steps to correct the course of history and to do the right thing. GeoEngineering Watch dated 30 November 2016 explains how they are manipulating and using the weather against protesters. Click here to learn how it is done. “As part of the Morton County Sheriff’s Department’s effort to quash the movement camped in opposition to construction of the Dakota Access Pipeline, national chain ACE hardware stores have been instructed by law enforcement not to sell any incendiary devices — that includes propane tanks Standing Rock Sioux water protectors partially rely on for heat in the bitter winter conditions. 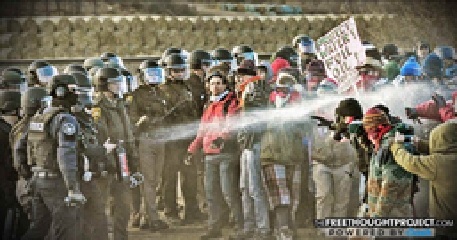 “That is true, ACE Hardware stores in the vicinity of the recent pipeline protests have been requested by law enforcement officials to refrain from selling materials that could be used as incendiary devices; so ACE’s number one priority is to protect the safety of its employees, customers, and the communities each store serves — ACE will continue to cooperate with law enforcement officials. ACE’s compliance is not a reflection of any corporate viewpoint on the actual pipeline project,” Camillia states. Local law enforcement officials have apparently taken it upon themselves to determine precisely how North Dakota Governor Jack Dalrymple’s recent emergency, mandatory evacuation should be interpreted. On Tuesday, the Morton County Sheriff’s Department first announced plans for a blockade on incoming supplies — including food — to the Standing Rock Sioux water protectors and their thousands of supporters camped near Cannon Ball. 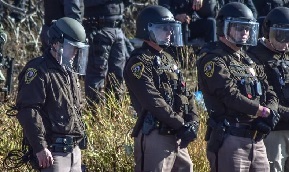 Although the governor’s office quickly reversed those plans, announcing there would be no such blockade, the sheriff’s department modified blocking the delivery of supplies by stating it would issue fines of $1,000 to anyone attempting to deliver needed equipment to Standing Rock. Things coming to a head! Activist Post dated 29 November 2016 revealing what the government plans to unfold on the people. Click this link to read the article. NaturalNews dated 28 November 2016 brings information on people injured at Standing Rock by water cannons, flash bang grenades and tear gas Click this link to read the story. Will their funding be cut? We are pleased that Bank DNB is weakening its ties to DAPL. It was a wise decision, especially given Energy Transfer Partners’ continuous disregard for our land, water, and sovereignty. Recent comments by Energy Transfer Partners CEO indicate the company seems intent on ramping up aggression, which is why it is of the utmost importance that other banks follow the example of DNB. This major milestone could only happen because all around the world, people like you stood in support of the Standing Rock Sioux and the courageous water defenders on the ground right now in North Dakota. And they need our support more than ever with the incoming Trump administration. 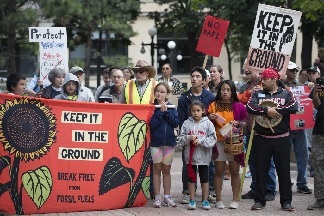 “While election madness reached full tilt in recent days, opposition to the Dakota Access Pipeline experienced a quiet victory — Norway’s largest bank, DNB, will consider pulling its hefty investment in the project if concerns from the Standing Rock Sioux Tribe are not addressed. DNB, EcoWatch reports, has reportedly loaned around $350 million to Energy Transfer Partners for the construction of the pipeline — fully 10 percent of the total cost — but is worried the rights of Native Americans are being trampled in the process. In the video, cops are seen massing at the top of the hill. SWAT officers got in a boat and launched tear gas canisters along the shore of the creek, blanketing the protesters with burning fumes. A reporter with Unicorn Riot narrates as protesters swim and get ferried across the creek to confront the cops. “U.S. Navy veteran, Petty Officer 1st Class Kash Jackson, came to North Dakota with one imperative in mind — to uphold the Constitution by protecting the American citizens he swore to defend, who are currently embroiled in a struggle with overly militarized police acting on behalf of a twisted corporate-government alliance insisting on constructing the Dakota Access Pipeline. Activist Post dated 5 November 2016: What Can The Mass “Check-in” At Standing Rock Tell Us About Online Advocacy? “On Oct. 31, more than a million Facebook users “checked in” at Standing Rock Reservation, on the border between North and South Dakota. Since last March, the Standing Rock Sioux and other tribal communities and activists have been blocking the construction of a crude oil pipeline, which threatens sacred sites and the tribe’s water supply. “The Dakota Access Pipeline protests have made national news, as millions of Americans are concerned with potential property rights violations and environmental damage that may be caused by the controversial project. The location of the protest and a law passed by the North Dakota legislature last year has created the specter of police using weaponized drones against protesters. Last year, the North Dakota state legislature passed a bill that drastically limited law enforcement use of drones, requiring a warrant in most cases. The original bill introduced by Rep. Rick Becker banned all weaponized drones. But a police lobbyist named Bruce Burkett managed to push through an amendment in committee making the prohibition apply only to lethal weapons. That means “less than lethal” weapons like rubber bullets, pepper spray, tear gas, sound cannons, and Tasers now permitted on police drones. Are the Police turning in their badges? “It should be evident if you’re following news concerning the Standing Rock protests in North Dakota that tension continues to escalate between protesters supporting the Standing Rock Sioux Tribe and riot police. The big deal? A four-state Dakota Access Pipeline which threatens to uproot sacred burial ground, poison the Missouri river, and make null an 1881 treaty ensuring the property belongs to the Standing Rock Sioux tribe. In addition to being maced and beaten with batons, activists have been tased and even shot with rubber bullets. 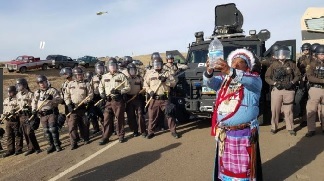 Despite the violence taking place, tribal leaders continue to ask all “water protectors” to maintain peaceful relations and rely on prayer as the only weapon used to halt construction of the DAPL. After watching videos of the mass arrests and beatings that have taken place, many have asked how those employed by the State can continue to terrorize weaponless protesters. Surely, some form of cognitive dissonance must be taking place? For some, most likely; and that’s undoubtedly what inspired at least two officers to turn in their badges today. 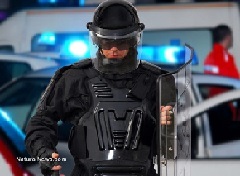 According to an activist named Redhawk, there have been reports of at least two officers turning in their badges after acknowledging that the battle against the American people is not what they signed up for. “Since April of this year, over 500 Native American tribes have taken a stand against the desecration of their sacred ancestral sites and an important water source — the Missouri River — from the construction of the Dakota Access Pipeline (DAPL) — a $3.8 Billon dollar project — which, if successfully built, will threaten both. This is a very important read and one that I urge you to take the time to click into and learn what is unfolding and who is behind this access pipeline. Marilyn Vine urges you to share this Standing Rock page with as many people worldwide as you can. The world needs to know how the American Government treats its people.